Its not a new city. It has at least one thousand years of dramatic history. 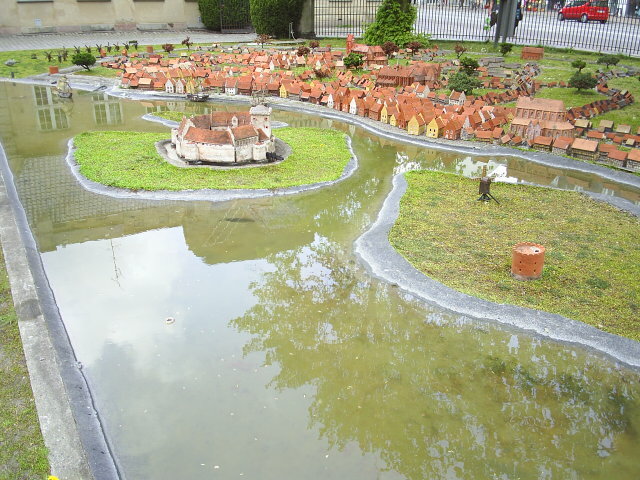 Attacks, lootings , large fires in 1728 and 1795 that wipes out large parts of the original medieval town. Attacks by the British in 1801 and 1807, when the city lost its naval and commercial ships and where civilians were exposed to history’s first terrorist bombing over 4 days. With help from the Dutch Navy Copenhagen repelled a Swedish assault on the ramparts in 1659 at a time when the country was occupied and looted by Swedish King Carl 10 Gustav and his allies. 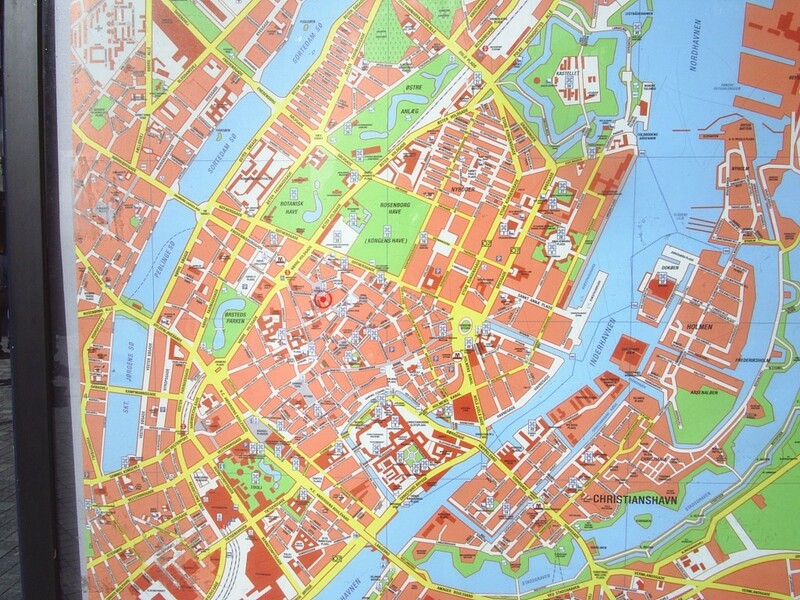 History of Copenhagen is Denmark’s history marked by ups and downs. Long periods of economic revival in the Middle Ages and in 16-1700 century with large construction activity of churches, monasteries, castles, palaces, eamparts and fortifications, squares and beautiful town houses. Something is gone, but incredibly much has been preserved until today. Open your eyes wide open – the city and its history is at your feet, under you and around you – ready to take! 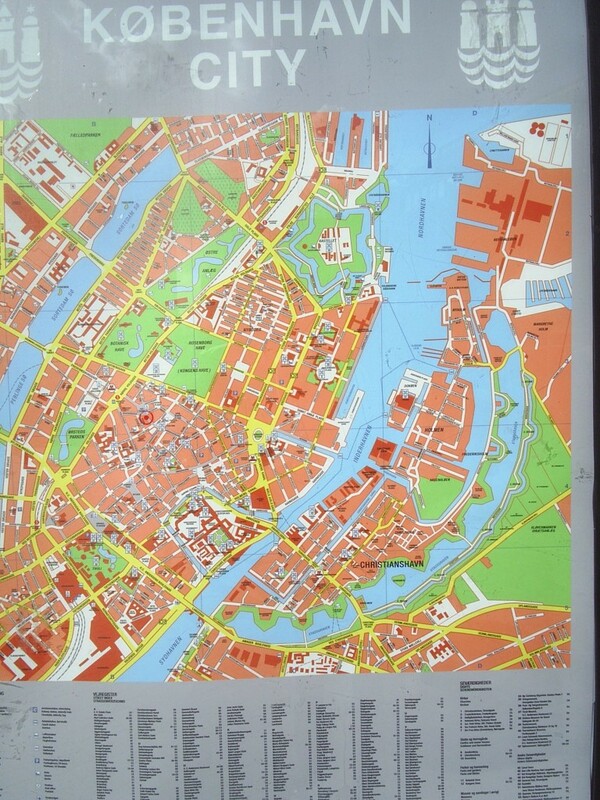 I will guide you through the history by walking through selected parts of the oldest Copenhagen within the city walls. It is trips where you need to use your eyes and your imagination to feel and experience the history drama, as it unfolded precisely the places we will visit. We will start at the newly renovated Højbro Square below the equestrian statue of Bishop Absalon, overlooking the Christiansborg Palace. The site was in the last century a bustling marketplace, where amager wives sold their vegetables. It is surrounded by town houses built in a simple classical style after the great fire of 1795, when approx. 950 houses burnt. 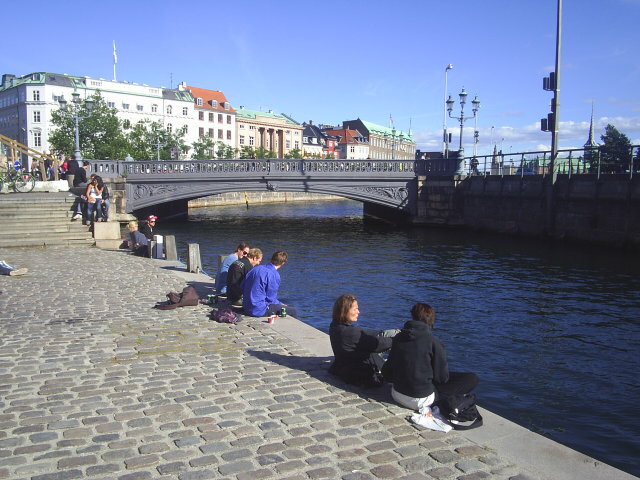 The site opens to the Gammel Strand, where fisherwomen sold their goods. 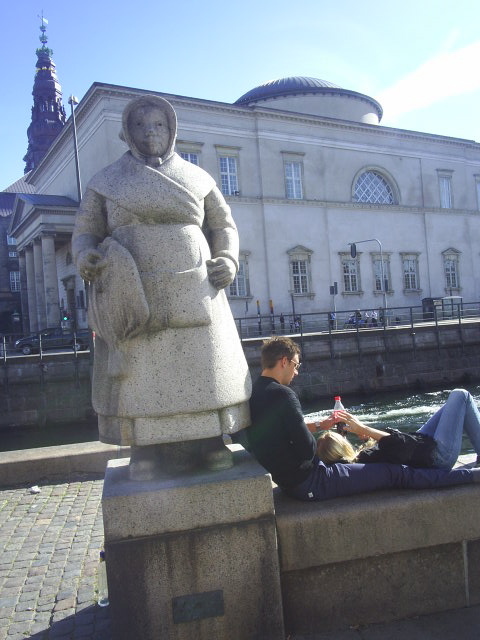 We are in the heart of Copenhagen, where life has been buzzing of people and draft animals for centuries. Here where we stand, running the beach out to the 2-3 km wide channel between Zealand and Amager. Here searched Øresunds fishermen and merchant vessels shelter from the weather back in 8-900 century and here acted merchants and the first houses, sheds and fishing cabins were built. In the next centuries teem with herring in the Øresund and a mighty herring market by Skanor near Malmö in Skåne have a crucial economic and political importance..
From 7-800 in the Viking Ages Copenhagen was a small fishing- and trade town, but from 1157 when Absalon became Bishop of Roskilde and became the Ruler of Copenhagen as a gift from his brother King Valdemar 1st “the Great” (1157-82), Copenhagen started its era of importance. 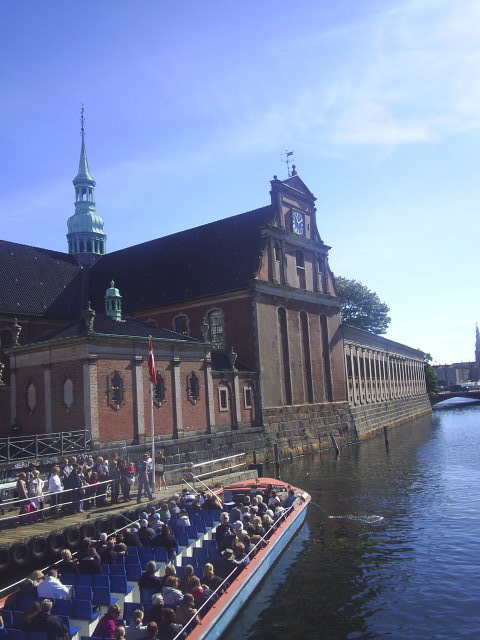 Bishop Absalon decided to build a a castle with a fortress on a small island just 5-1000 m from the seashore of Copenhagen in the sound between Zealand and Amager for the protection against pirates. 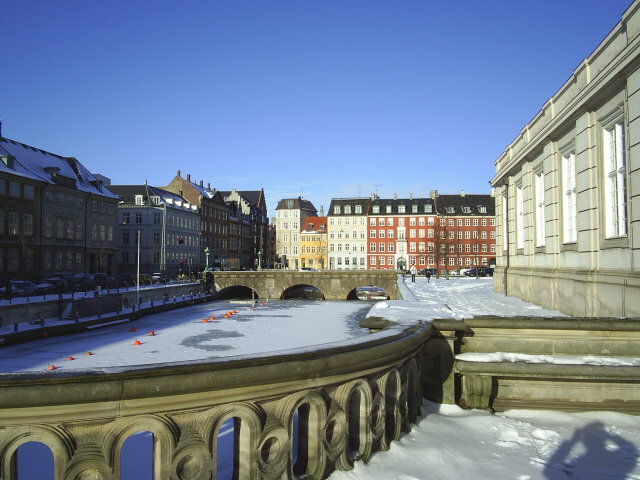 The building began 1167 and this year is the official foundation of Copenhagen, even the city are much older. From 1167 until 1242 Denmark exspanded its control over great parts of The Baltic (Østersøen). King Valdemar 1st “the Great” and Bishop Absalon invaded the Fortress Arkona on Rugen in 1169 and his son King Valdemar 2nd “the Conqueror” (12o2-41) invaded and became ruler of Estland in 1219. This area of ruling by the danish kings is called The Baltic Empire. 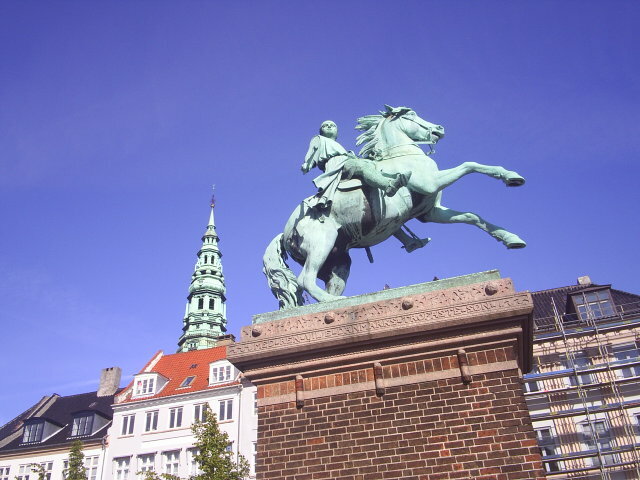 This period gave Copenhagen a unique position of power, trade and wealth, which continued up to now – more then 800 years! The whole area is now called Slotsholmen and where the fairway originally came into Højbro Square has for centuries been filled with sand and soil, so the city along the Copenhagen harbor entrance has moved a little mileage out of the harbor between Zealand and Amager. In the Danish Constitution (Grundloven) of 5. june 1849 its fix by law that the three democratic powers: The Parliament (Folketinget), The Goverment (Regeringen) and The Supreme Justice (Højesteret) must be 100% separated. 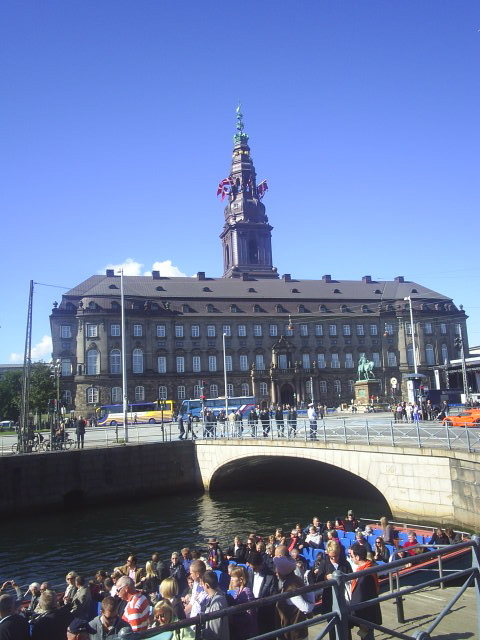 In Denmark this Center of Power are united and at the same time separated in Christianborg Palace. Its unique! 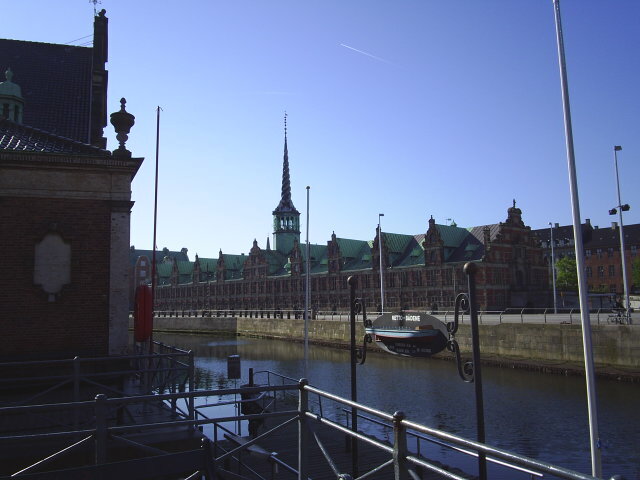 Danish Parliament (Folketinget), the Prime Ministers Office (Statsministeriet), Danish Supreme Court (Højesteret) and the Royal Reception Rooms and Banqueting Hall. 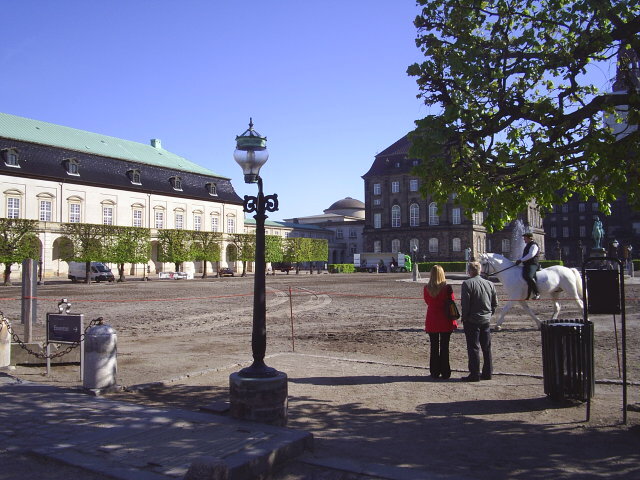 It was originally thought that King Christian 10 after reconstruction in 1920 would live in the palace, but he relented and chose Amalienborg! Former kings were less dissatisfied. 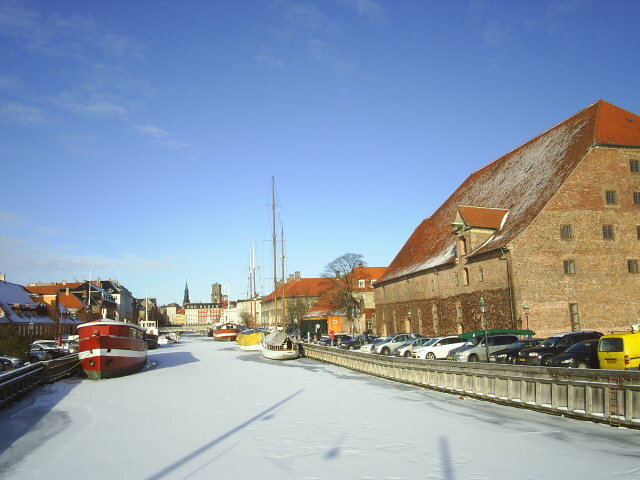 As Copenhagen became the capital in 1400-century kings lived at Copenhagen Castle built on the ruins of Absalon’s castle pillaged and continued with constant renovations and additions in the period 1416-1700. 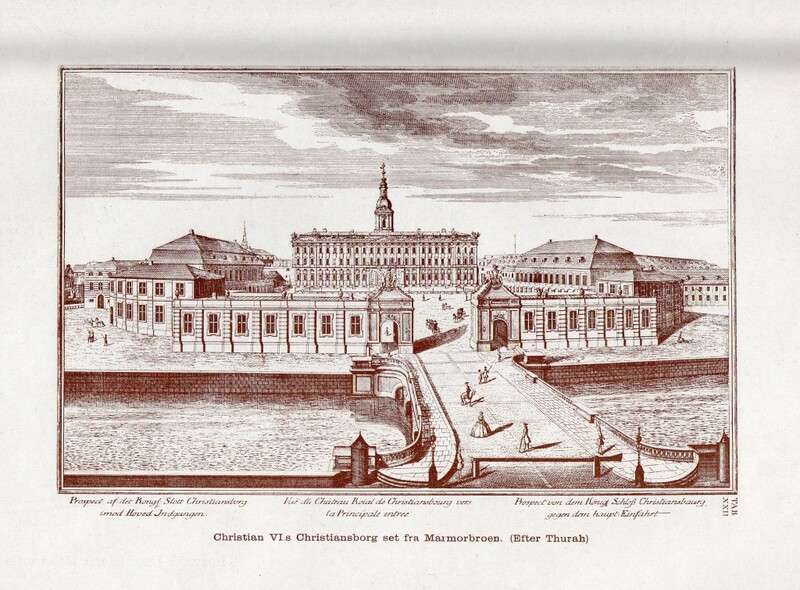 When the castle was demolished (1730) and the first Christiansborg Palace was built and consecrated in 1749. A magnificent palace built by the architects Elias David Hausser, Laurits de Thurah and Nicolai Eigtved under King Christian 6 in a mixture of Viennese Baroque and Rococo Europe. From this castle is only the beautiful baroque buildings of the riding ground maintained as the remaining castle burned down in 1794 – one year before the great fire of Copenhagen in 1795. 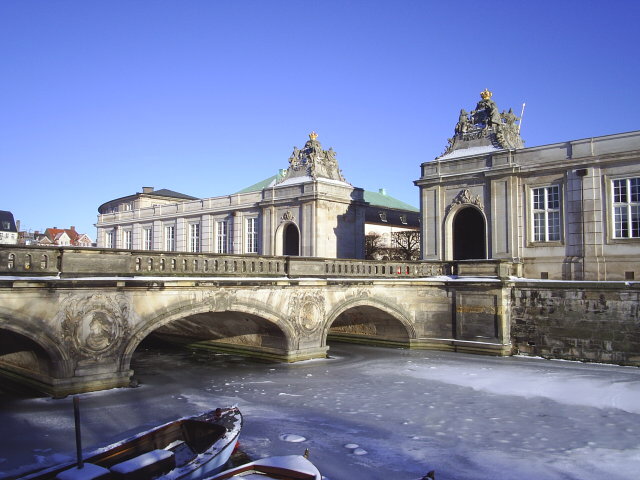 The Marble Bridge and the pavilions in style rococo from the first Christiansborg Palace build 1735-46. They have just been restored from 1978-96. So here you see the beauty of what is left of this magnificent Palace. 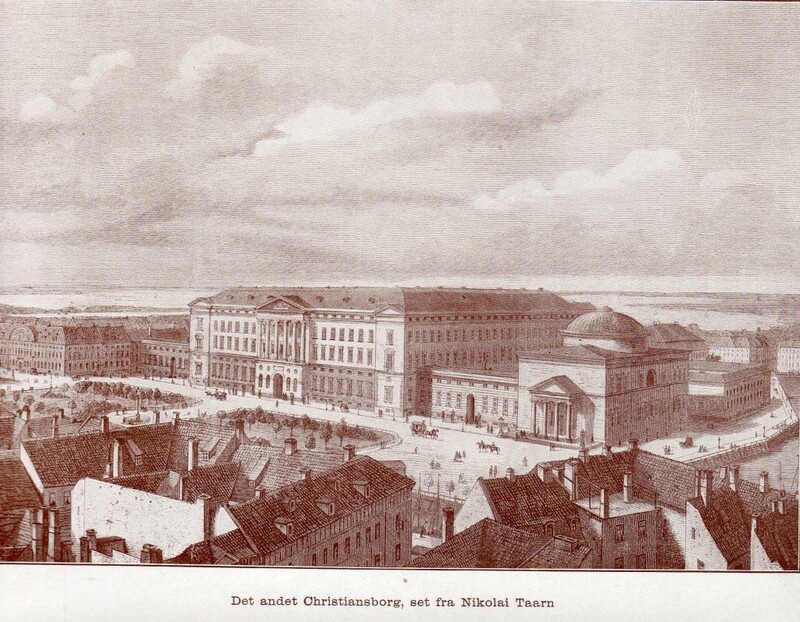 In the background the third Christiansborg Palace build 1906-28. Click on the picture and use your zoom control and you will see it in full screen size. 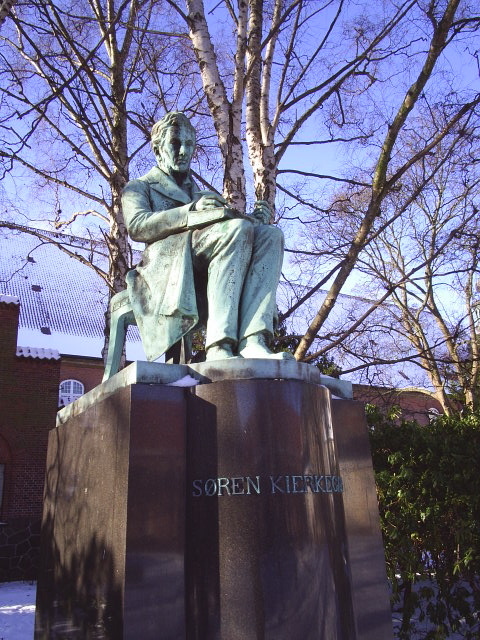 Photo: Erik K Abrahamsen 1996. Build by Bishop Absalon of Roskilde 1167. 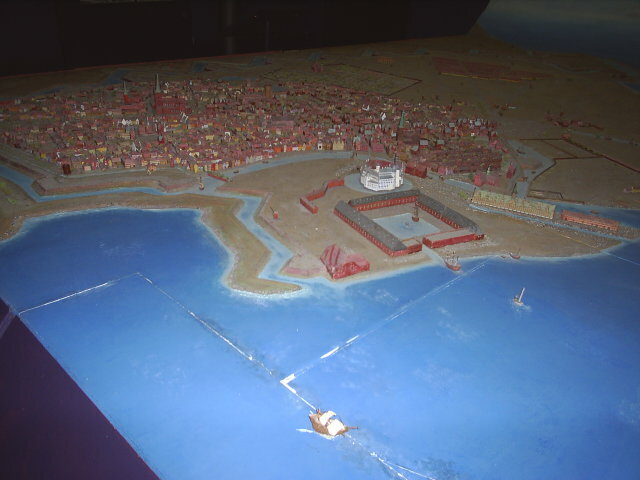 Demolished by the Hanseatic League in 1369. The ruins of this Castle under Christiansborg Palace is open for the public. Builded on the ruins of demolished Absalon Castle in 1371 and still owened by Bishop of Roskilde. In 1417 King Erik 7 of Pommern occupied the castle as his property and has since been the castle for the danish kings. 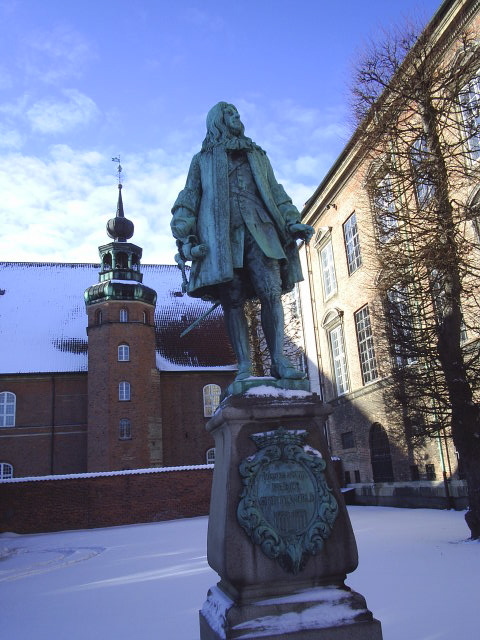 Rebuild several times by King Christian 4 (1588-1648) and King Frederik 4 (1699-1730). 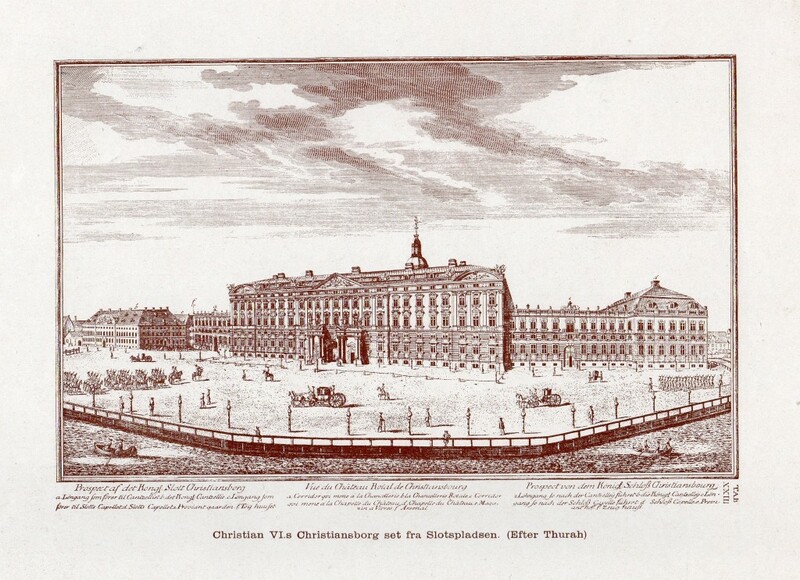 King Christian 6 gave the order of demolition of the entire Copenhagen Castle in 1731 and build the first Christiansborg Palace 1735-42. Architects: Elias David Hausser, Nicolai Eigtved and Laurits de Thurah. Style: vienna baroque and europien rococo. The main palace building and the chapel burned down to the ground in a big fire in 1794. 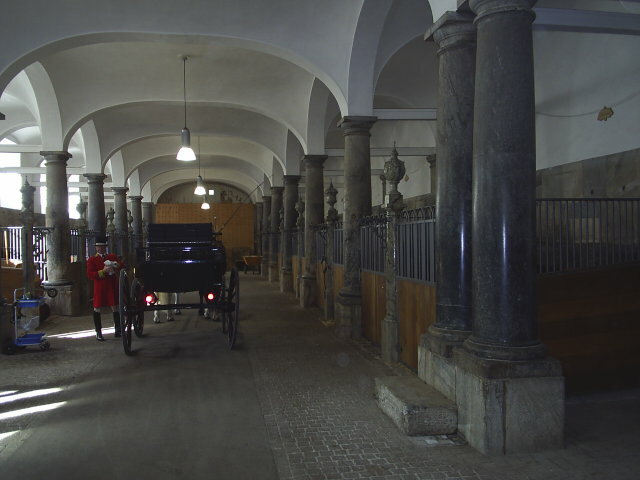 The 2 sideswings and the Riding Ground Complex with stables, riding exercise house and pavilions were spared and are a magnificent part of the third Christansborg today. 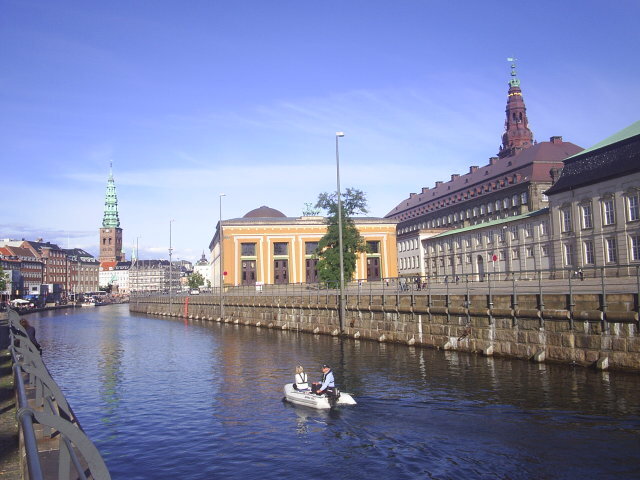 The main palace building and the Chapel was rebuild by architect C. F. Hansen from 1803 until 1828 in neo-classical style inspired from Greek and Rome architecture. 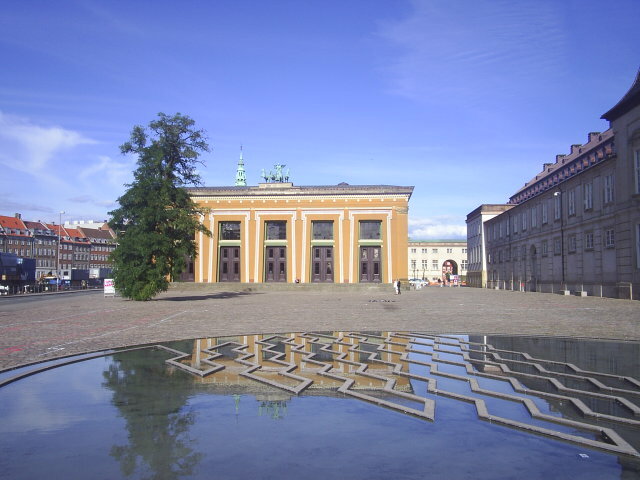 The Chapel was inaugurated 1826, 800 years after the introduction of christanity by the monk Ansgar to Denmark. Most of the main palace building burned down in a fire in 1884. In 1906 began the reconstruction of the main building Palace. 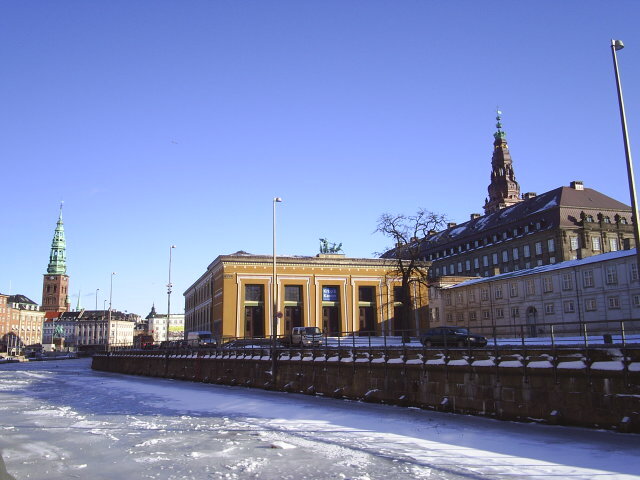 It should be a Palace for the King of Denmark, Parliament, Government and Supreme Court. 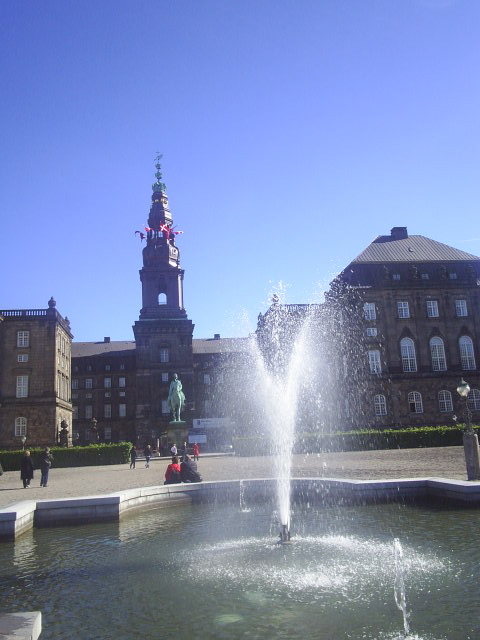 In 1920 King Christian 10 decided not to move from Amalienborg Castle to Christiansborg Palace. Therefore today The Palace is the house of 3 powers: Legislative (Parlament), Executive (Goverment) and Judical (Supreme Court). The Queen/King use the Palace for banquets in the Great Hall and for official functions in The Royal Reception Rooms. Build 1906-28 by architect Thorvald Jørgensen (1867-1946) in style Neo-baroque with granite covered facades and since 1938 with roof of copper. The tower is the tallest tower in Copenhagen (106 m) and has just been renewed with new copper. 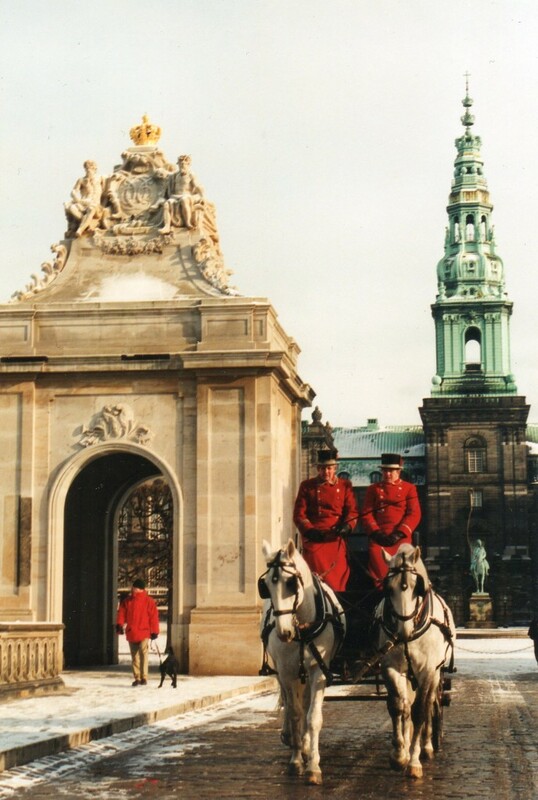 All the Palace is open for public: Ruins of Absalons Castle, The Royal Receptions Rooms, The Great Hall with Gobelins by Bjørn Nørgaard, Royal Stabels with horses, The exercising Riding House, The Palace Chapel and the Theatre from 1st Christiansborg Palace. So today you can experience three Christiansborg Palaces: The main third Christiansborg Palace building from 1907-28, The Riding Ground Complex, The Royal Stables, Theatre, Sidewings, Pavilions and Marble Bridge from 1st Christianborg Palace build 1735-46 and The Chapel from the 2nd Christiansborg Palace build 1803-28. Absalon Castle 1167 – 1369. Drawing at Copenhagen City Museum. Copenhagen Castle about 1650. 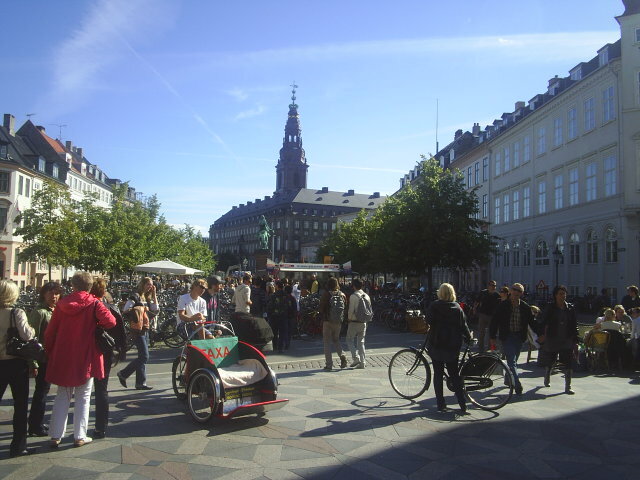 København Slot ca. 1650.Click on the picture and use your zoom control and you can see it in full screen size. The picture is scanned from Illustreret Tidende, den 14. december 1913, Nr.11, 55. Aarg, “Københavns Slot gennem otte hundrede Aar”. Kilde: arkitekt Thorvald Jørgensens scrapbook, Privateje. 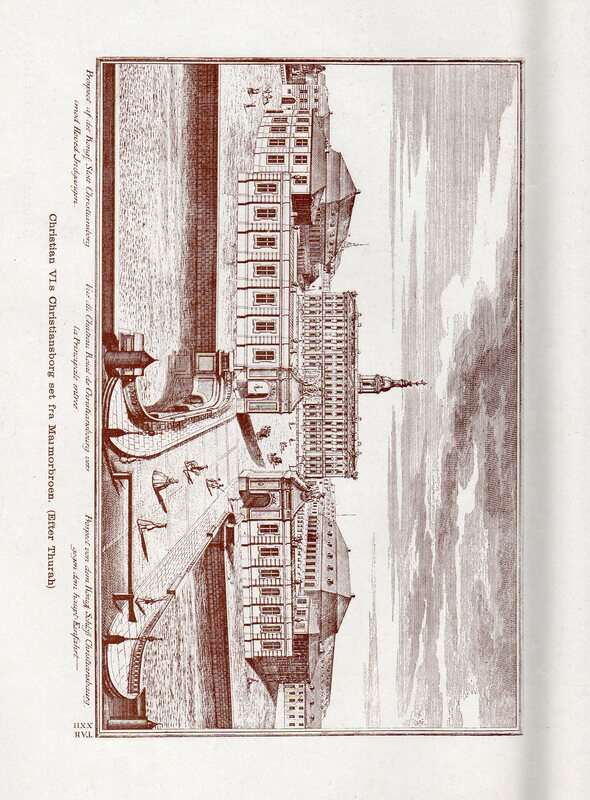 First Christiansborg Palace by architect Elias David Hausser and build 1735-42 by King Christian 6 . The picture is scanned from Illustreret Tidende, den 14. december 1913, Nr.11, Aarg 55, arkitekt Thorvald Jørgensen scrapboook, Privateje. First Christianborg Palace build 1735-42. View to Marble Bridge with pavilions (Marmorbroen) and the Riding Complex with Stables and Riding House. The picture is scanned from Illustreret Tidende, den 14. December 1913, Nr.11, Aarg. 55, arkitekt Torvalds Jørgensens scrapbook, Privateje. 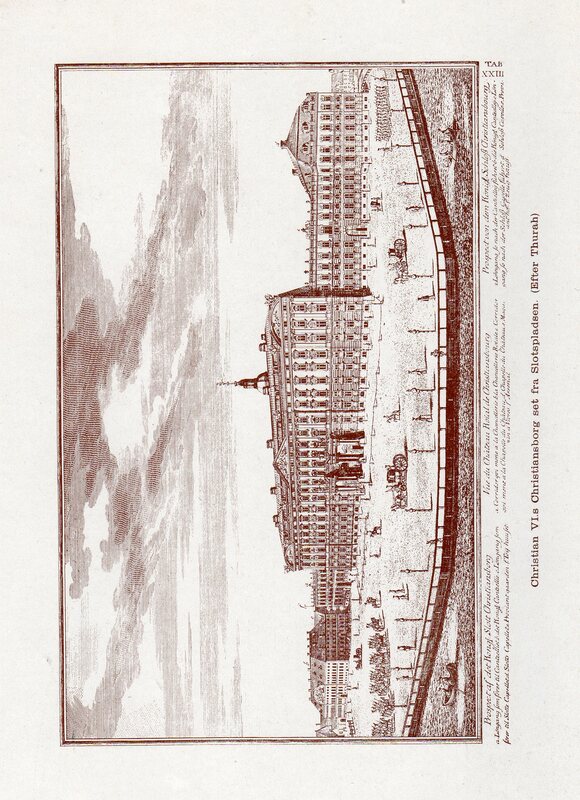 2Second Christiansborg Palace build 1803-28 by architect C. F. Hansen build. Click on the picture and use your zoom control and you can see it in full screen size. The picture is scanned from Illustreret Tidende, den 14. December 1913, Nr.11, Aarg. 55, arkitekt Thorvald Jørgensens scrapbook, Privateje. The Stock Exchange (Børsen): Close to the harbour and the neighboring castle King Christian 4 built 1617-19 the Exchange edifice inspired by German and Dutch renaissance and to promote shipping an trade. 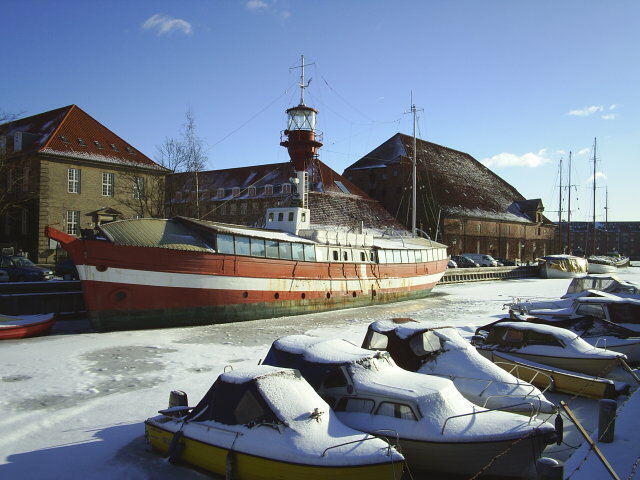 The location is near the port and the Danish Navy´s former naval dockyard at Bremerholm. Naval Dockyard (Orlogsværftet på Bremerholm) was one of the oldest in the World and was founded by King Hans in 1400-century. To day only remnants of the anchor smithy building is left. This building king Christian 4 had chosen as the basis for the construction of Holmen manpower own church Holmen’s Church in 1617-19. Like the stock exchange in German-Dutch Renaissance the church is with tendons and extensions unique, even in interior design. Here lies Peter Wessel Tordenskjold buried after his untimely death in a duel in Hamburg in 1720. 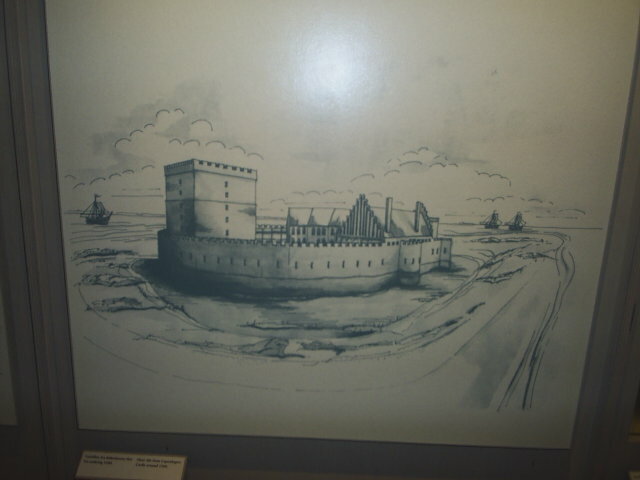 – where the city evolved from a small barn and commercial space on the Øresund to a Medieval town with defenses against the sea, Bishop Absalon Castle and when it was demolished in 1300-century the newly built Castle of Copenhagen with later additions until 1730, when Christian 6 tore it down and built his first Christiansborg Palace. – and the land west, north and east banks of earth with pits, later a brick wall and from the 1600s the big banks, bastions and tombs can still be seen remains of the city’s major parks (Eastern Plant Botanical Garden, Ørstedparken and Tivoli ) and is intact in Christianshavn and Holmen (Christiania), 12 bastions on the land side and 12 bastions to the water side (Amager). The key defense plants were Citadel (Kastellet) fully developed in 1665. It is the world’s oldest barracks and fortifications are still in use and the home of approx. 500 employees at the Danish Defence. 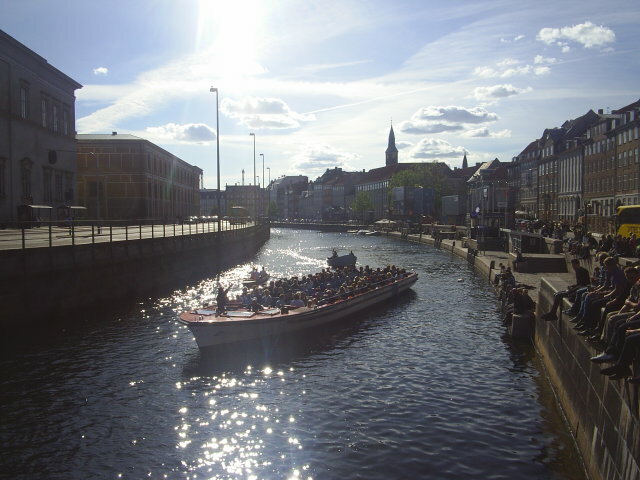 Copenhagen Harbour in direction Christianshavn and Amager. 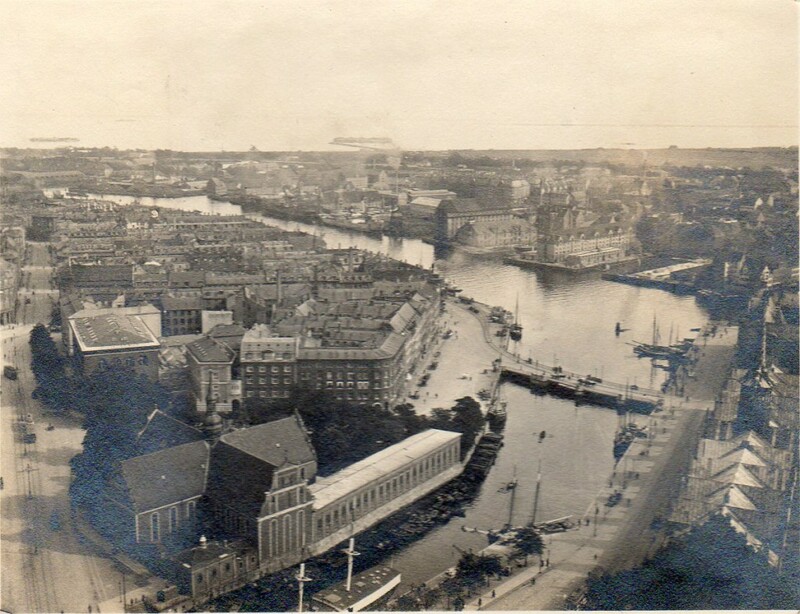 The photo is taken from top of the tower of the third Christiansborg Palace build 1906-28 by architect Thorvald Jørgensen. The Church of Holmen (Holmens Kirke) build 1617-19 at left. 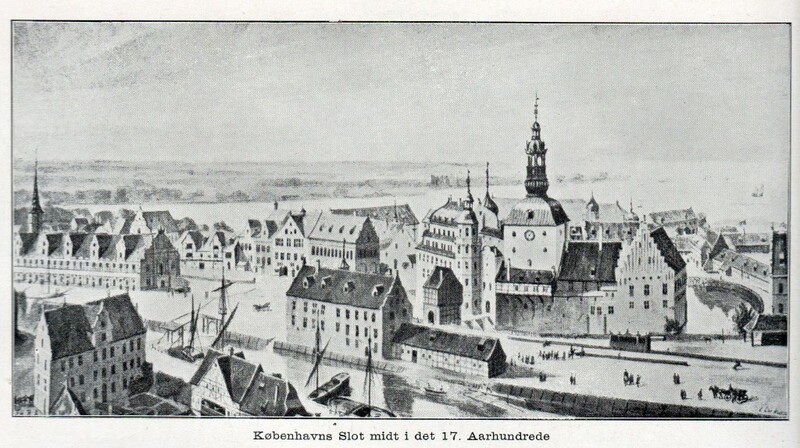 At right the roof of the Stock Exchange (Børsen) build 1620-22. Photo by Architect Thorvald Jørgensen about 1921. The picture is scanned from Thorvald Jørgensen personal photo album, Privateje. Højbro Square, Christiansborg Palace, Christiansborg Palace Chapel, Church of Holmen, Stock Exchange, Rigsdagsgården with entry to Parliament, the National Archives with Victualling Yard and the Royal Arsenal Museum, the Royal Library, Christiansborg Riding Ground Complex, the Royal Stables, Royal Ridehus, Marble Bridge, Prince’s Palace (the present National Museum) , Storm Bridge, Thorvaldsen Museum, Magsstræde, Snaregade, Gammel Strand.